Home » Articles » 61. People are Inspirers: Are You Already Crazy Enough? People are inspirers. They influence each other, encourage each other and give each other hope. Yes, I know that it’s usually the other way around, but I’d like to let you look at a very special phenomenon. And that is that one phrase. That one golden statement that can determine your life. That causes you to make the decision of a lifetime! A high school teacher brought me home after a course. I had taught a course in stress management. He told me that he had already had problems with the management for 40 years, and asked what he should do. My father was also a teacher, but had already died at that point. I said something like, “If my father were still alive, I would hope that he would have the courage to let go of the school”. The next week, the man quit his job. What happens when an unassuming person gives her opinion? A friend of mine, who usually always kept her opinion to herself, was very nervous when she said, “I’m only going to say this once: it is not your fault!” It gave me sudden clarity about the complex relationship I was in. I could suddenly see it clearly and ended the relationship. I thought the whole time that the arguments were my fault. What happens when parents say a golden sentence to their child? Parents can also say the kind of statements that remain with you your life long. One father said to his adult daughter: “I wish that I had been as far along as you are now when I was 40”. He wasn’t usually generous with compliments, but when he made that statement, it was like her heart was filled with pure love. Another father once said to his daughter when she was young: “Whatever your hands touch turns to gold”. It stuck with her for the rest of her life. What is the strength of these golden statements? This type of statement is worth gold! Because usually people are not so used to speaking so kindly towards one another. Encouraging and stimulating each other are uncommon. It’s more common to point out each other’s mistakes than to speak with each other about what we do well. And that is exactly what we can change. Because these golden statements have one great advantage: they have a huge impact! Because we so often hear negativity, that one golden statement really hits us! We cherish that type of phrase as if they were our greatest treasure. They nourish us, giving us courage and hope. What do these golden statements have in common with the MIR-Method? One of the effects of the MIR-Method that I often hear about is that people develop more self-confidence. How that happens, is explained in article 28. It means that you have more confidence in your own opinions and become more courageous in giving your opinions. If someone asks you for advice, it could just be that you make a golden statement that changes the life of the other person forever! Are you already crazy enough to change the world? For me, world inspirers are Aung San Suu Kyi (leader of the non-violent human rights movement in Burma), Marianne Williamson and Lynne McTaggart. The statements they make inspire me to persevere my work with the MIR-Method. They help me to have hope for the future. I believe, thanks to them, that we humans can create a fine world! And what about the golden statement Steve Jobs made, co-founder of Apple computers: “The people who are crazy enough to believe that they can change the world, are the ones who do”. What golden statement inspires you? Gives you courage or hope? Do you notice that you have the courage to give your opinion more often through the MIR-Method? Please let me know below! Thank you! Personal estions should be asked of a MIR-Method coach! Wishing you much inspirational pleasure! This article made me crack up!! I’m crazy enough to want to go to a school to learn more about energy healing and all of the different modalities involved with that because I can’t wait to be of service…it’s a calling like no other. Yet I sit at home fearful of applying myself, scared to go to that school. You almost just have to say I’M DOING IT!! And quite frankly I feel crazy…thousands of questions and concerns that can be analyzed to futility. At what point do you just have to take that leap of faith and go in the direction of your dreams no matter what! With that said…you feel crazy taking that first step. But then how many people truly follow their dreams and passion? Which is why when I read what the ‘top five things the elderly say when they pass’…the number one thing is…regret…regret that they didn’t love a life true to themselves. So maybe we are crazy…but crazy in the best possible way!! And so it is! The people is desperate for energy healers! So, on behalf of thousands of people: please apply!! Hi Mireille, Yes recently I have found myself giving advice to clients when normally I keep my opinions to myself as I don’t usually feel as though I know enough to give advice. I had wondered why this change in me had happened. That is great news! I am happy for you that you ‘found your voice’! Hope this habit will stick for a long time! Coming from an educational background and teaching school your message really hit home with me. We must never take for granted the power of our words. I taught almost 40 years and mostly in kindergarten and lower elementary. One day a student graduating from high school came back to the classroom to thank me for ‘making a difference’ in his life. Then he proceeded to tell me things I had said to him about his school work and to him–12 years before! You think they do not listen, but they do! Wow. What a memory and what an impact! I had no idea. We have to be wary of our words, their weight is very heavy. Often I would tell children, ‘You are gold!’ I am aware many children do not have someone to listen to them, or talk with them. I think children from an early age need to learn the golden rule: treat others the way you want to be treated. Then ‘model’ the behavior for them in everything we do. Words are powerful, but so is your own personal example. We must be diligent. You are spot on in your MIR-Method. Thank you. I tell all who listen. Your words are quite touching! You have experienced the power of those little sentences you say that can make a huge impact! Thank you for having done that with all these children! And yes, modeling is the other one. And we can always do it over again, every day new chances to inspire someone! 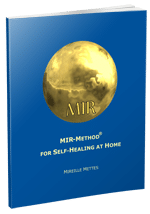 Thank you for embracing the MIR-Method and for sharing it! I notice that I’ve the courage to give my opinion more ofthen !!!! I share this article immediately ! I am very glad it is easier for you to give your opinion! That is a reflection of what is changing inside of you and it is very good news!